Biodiesel, or biofuel, looks set to become one of the main alternatives to diesel and petrol over the coming years. Advantages to using biodiesel include the fact that it can be used in existing diesel engines. 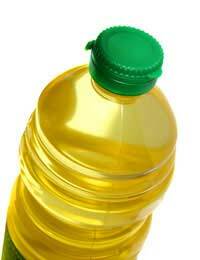 It is also well known that vegetable oil, and used vegetable oil, at that, constitutes a cheap form of biodiesel. However, it must be cautioned that the use of biodiesel in a conventional diesel engine may damage your car, and damage incurred in this way will not be covered by your warranty. Additionally, some environmentalists argue that biodiesel is not truly sustainable, requiring for its development the growth of crops in cleared rainforest areas. Biodiesel is a processed fuel derived from plant matter. This, in theory, makes it sustainable, as plant sources can be re-seeded and harvested perpetually. However, it could be argued that biodiesel damages the environment as forests in Asia are cleared for the growth of palm (for palm oil; a popular biodiesel source). In this way, poorer countries are made to suffer in order to help wealthier countries develop new means of fuelling their transport needs. One way around this criticism would be to recycle existing vegetable oils (chiefly, those used in cooking) for use in vehicles. Waste vegetable oil (or WVO) can be used to fuel a road vehicle, but due to its viscosity is highly likely to damage your engine. In order to use it effectively, the vegetable oil (which may be new - 'straight vegetable oil', or excess from cooking: for example, chip fat) must be filtered, and have solvents added to avoid engine blockage and subsequent over-heating. 'Conversion Kits' are available for your car over the internet, in order to help you to run effectively on biodiesel. However, the advice of an expert who can look at your vehicle and tailor a package to your needs would be wise, considering the damage that could occur as a result of experimenting with WVO if you have not properly prepared. The U.K. government has taxed the use of biodiesel at the standard diesel fuel-duty excise rate of 47.1p per litre since 2005. Drivers have been prosecuted for failing to pay excise duty when running their cars on biodiesel. Of course, drivers are unlikely to get caught if all bodes well. However, if you have an engine breakdown, or a discharging unusual tones and colours of exhaust fumes, you may be a sitting duck for an investigation into what fuel you are using, and if you are paying tax on it. Be particularly wary if you are using your vehicle for work! With biodiesel being up to five times more efficient than conventional diesel, and emitting up to 78% less carbon dioxide, it seems like a viable option for the environmentally concerned driver. However, the use of vegetable oil as a biodiesel has not yet been fully developed by either the fuel industry of the car manufacturing industry. You therefore run the risk of damaging your vehicle if you do not research the technology fully. Provided you do your research, waste vegetable oil, straight vegetable oil, or industrially refined biodiesels could certainly be an economically sound way of running your vehicle, and could - in time - provide a nationwide solution to our transport needs.